Romantic, secluded, unique – just for adults! 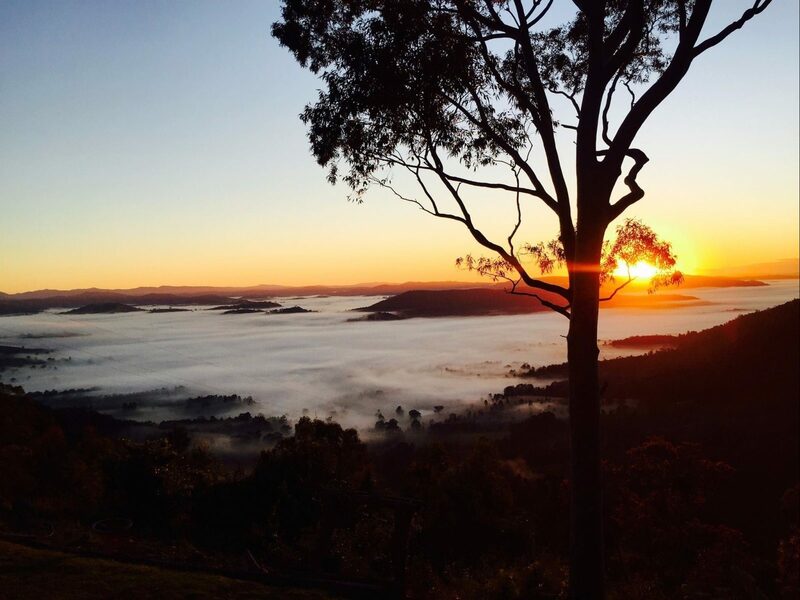 Three cosy, comfortable spa cabins nestled among the gums, a tennis court, a swimming pool, stunning views as far as the eye can see and beautiful grounds to wander, soak up the natural, peaceful atmosphere and just… be yourselves. 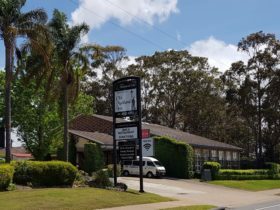 Choose from two valley view spa cabins: Peta with two en suite bedrooms for two to four, Jabiru with one bedroom, or Tallarook the garden view spa cabin with a romantic king size four poster bed upstairs. Relax in your own outdoor turbo spa, rejuvenate with a massage or spa treatment in the comfort of your cabin, have a hit of tennis, swim in the pool or in the cooler months, cosy up in front of the log fire. The perfect venue for romantic getaways, anniversaries, mini-moons or elopement weddings. Packages include sparkling wine and quality chocolates. Romance packages available too. 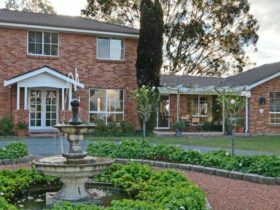 Tallarook – the garden chalet with beautiful views just a few steps from your door. 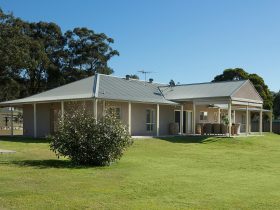 Tallarook is the largest of the accommodation at Cabins in the Clouds. 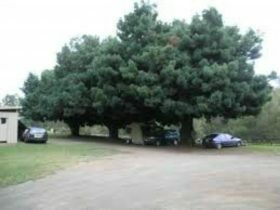 Nestled in established native gardens, it is a haven for a large variety of birds and native animals. A romantic chalet, Tallarook’s French doors open to return verandas, with a delightful hot turbo spa located in the courtyard. The open plan living and dining room is comfortably furnished and the galley kitchen is fully equipped, making mealtimes a breeze. The huge upstairs bedroom has a king size bed and a reading nook. 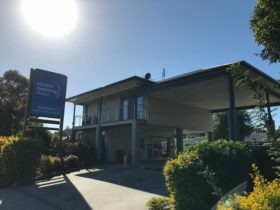 Tallarook’s guests can take advantage of the beautiful grassed area next to the pool, with an outdoor dining setting facing the view to the Barrington Tops. 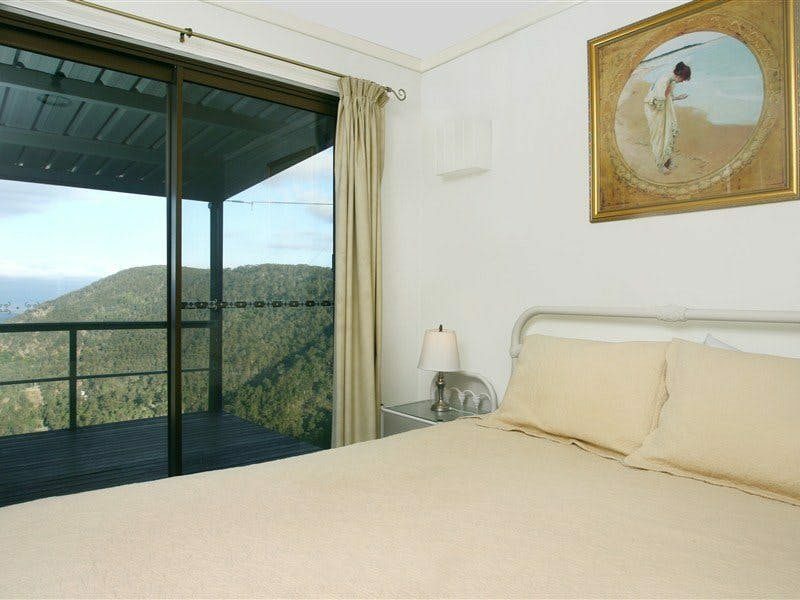 This romantic Australiana style cabin has return verandas and takes in panoramic views of the mountain, valley and the distant Barrington Tops. Facing north, the deck has a hot turbo spa, recliner lounges, outdoor setting and electric barbecue. The views from this area are stunning. The bedroom has a queen size bed and attractive furniture and furnishings. 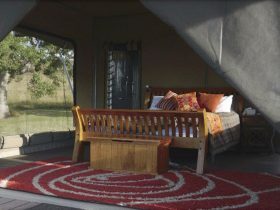 The living area includes a contemporary lounge, compact dining setting, an LCD television, DVD and CD players. Both rooms have French doors opening to the veranda and deck. The compact kitchen is fully equipped with microwave, electric hotplates, toaster oven, pans and crockery. The bathroom is unique – guests love the shower (and loo) with a view. Make Jabiru your special retreat too. Situated at the very end and edge of the resort, nearly every room in this rustic cabin faces the panoramic view down the valley to the Barrington Tops in the distance. 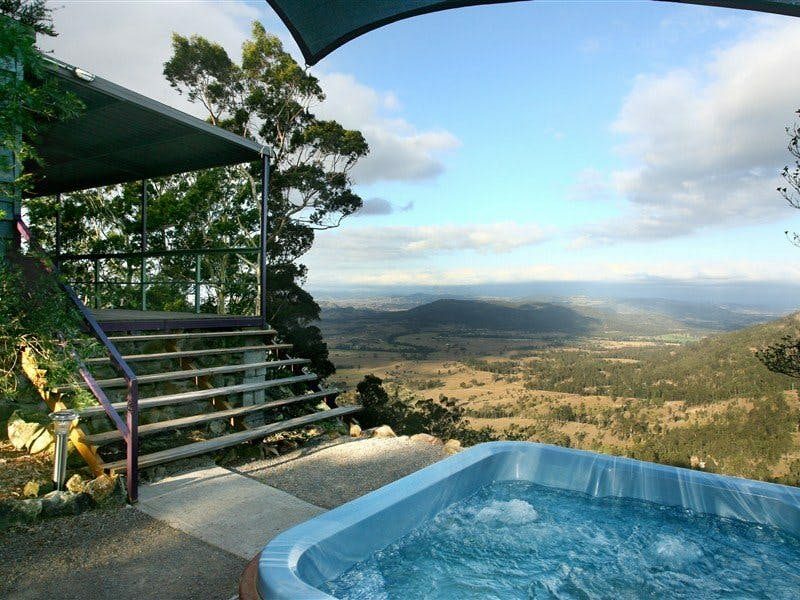 Soak in Peta’s spa, positioned to take in the stunning valley views, as is Peta’s romantic bedroom. The large north facing deck with electric barbecue, outdoor dining setting and recliner lounges is a great place to relax, and Peta’s fully equipped kitchen has everything you need to prepare easy holiday meals. The living room is tastefully furnished for two. In the cooler months, cosy up in front of the slow combustion fire. Wander along the path behind Peta to a cluster of grass trees, probably over 1,000 years old. Peta – rustic, romantic, restful.